Blogging, perhaps, is THE way for communicating these days. Since face to face conversations have moved on to Facebook, every question is now directed to Google and who, in turn, sends us to the experienced ones, a.k.a the Mom Bloggers. This paradigm shift has resulted in another set of Super Mommies, the ones who are helping to make the mystic world of parenting seem easy, one blog at a time. 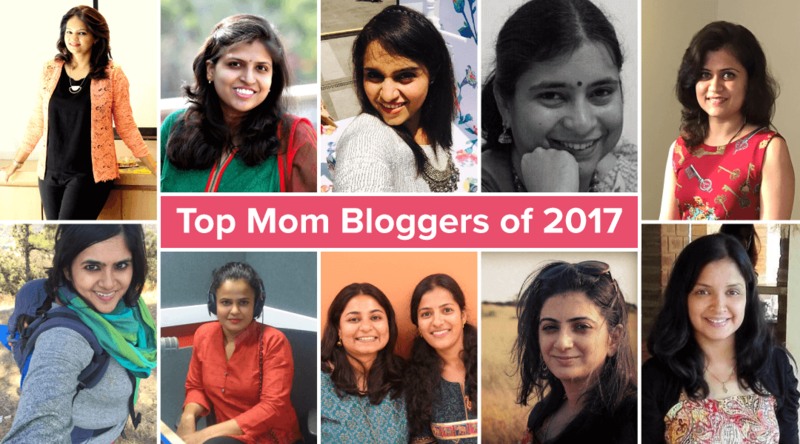 Keeping up with the tradition of enlisting the Indian Mom Bloggers that you should follow, we’re back again with the list of Best Mommy Bloggers, in no particular order of preference. Note: If you haven’t already checked, you should follow these Top Mom Bloggers from 2016 list too. The main purpose here is to recognise these Moms who are doing this fantastic work and encourage more Moms to come forward to and start sharing their joy of motherhood with the world. You can always find time while your baby is sleeping or when your husband takes care of your baby. You can always connect and seek help from these Mom blogs to get started on blogging. We’re sure, they’d be more than happy to help you out. Along with being the founder of Kidsstoppress, Mansi is deemed to be the powerhouse of the force that works tirelessly to make Kidsstoppress a success. Being the mother of two daughters, she tries to find interesting things for them to do; this ends up as a blog that resonates with masses. Her mom blogs include a varied range of topics like reviews of new products, places to visit and new recipes to try out. Dr. Hema, also known as the “Doctor Mommy” started off her blog with the aim to answer all the doubts and queries of new mothers who don’t have family around, to guide them. She is a mother of two and her blogs enlist her tried and tested methods, which have worked for her kids. She tries to cover a spectrum of topics on her blogs: from superfoods for weight gain in babies to innovative 1st birthday party ideas. Bumps n Baby is one of the most popular top mom blogs followed by new mothers. It was started by Sangeetha during her pregnancy phase in order to get in touch with the ‘new mom’ community. Now, the blog accounts for her journey from a would be mom to a new working mom. Along with this, articles pertaining to baby food recipes, baby care, mom care, and parenting are published regularly. Preethi and Srividhya created this blog with a vision of discussing modern parenting from an Indian perspective. They try to cover the cultural traditions and modern day parenting ideas and, thus, end up with articles that include the best of both worlds! Along with this, IndianMomsConnect also acts as a platform for other mothers to share their stories, thus, creating a mom community, united by Indianmomsconnect. Roshni terms herself as a ‘dhobi ka kutta’ and a global citizen who started blogging about what it feels like to bring up kids in an Indian-American household. IndianAmericanMom talks about what to expect when one tries to bring up a brown kid in distant lands, the challenges and identity crisis that one experiences along with the common feeling of ‘mom guilt’ when a mom returns back to work. The Diary of a Doting Mom is maintained by Shailaja at Shailajav.com, where she shares her experiences of being a work-from-home mother along with some handy parenting tips. Her blog has covered a wide range of topics till now, and all of them are derived from her life experiences. Swapna started blogging after her firstborn turned 2 in order to search for a new identity. She believes her blog TheMomViews is for everyone who is striving to be the best mother she could be while maintaining her individuality. One can find parenting tips, product reviews, fun activities for kids, birthday party and decor ideas on her blog. TheChampaTree came to being in May 2014, along with Vaishali’s baby. The blog aims to encapsulate the emotional spectrum of parenthood. Along with this, the blog helps in answering doubts of new parents while providing an array of fun things to do with their kids. TheThinkinHat, a brainchild of Nancy, is a compilation of coming of age stories. She shares her bittersweet experiences of motherhood along with tips on basic parenting. As a working mother, she understands the need of being active and thus makes it a point to include articles related to fitness post pregnancy. AllThingsGud was started by Dr. Sania as a lifestyle blog and it is meant to showcase all that’s good in life. She is a hands-on mother of a 10-year-old daughter and believes to have learned ponderous lessons from the little one, more than she ever did from her medical books. Her blog talks about parenting tips, easy recipes, and health issues that are common with kids. The ‘Being Mommy’ section of her blog receives huge traffic. Prerna has always been ‘go to’ person when it came to handing out advices in her friend circle. Her close friends used to find her suggestions very helpful. Gradually, she stepped out to start MaaofAllBlogs which is all about her experiences as a mother, with a dash bit of her as well. Initially, the blog was created with Vedic Maths as its base. However, Umamaheswari gradually moved on to writing about her lifestyle; esp her children. Momscribe, now, talks about parenting and lifestyle. She follows a basic day-to-day approach that resonates with her readers. In her quest to find some help as a new age Indian mom, Kejal decided that she’d fill that void herself along with helping many new Indian moms with her. BeingMomma talks about all the phases of motherhood, from pregnancy to toddlerhood. Currently, she has over 30 active professionals contributing to her blog. With the motto of raising happy and healthy babies, Jaishri started Mommyswall. Unique in its approach, her blogging team (that consists of moms, of course) posts about their stories, that creates a connect with the reader. The blog also caters to food recipes, product reviews, pregnancy and postnatal care tips. ShishuWorld is the brainchild of Priya who wanted to create one stop blog for Indian parents and parents to be. She tries to combine modern parenting with the tried and tested age old traditions. Her blogs cover everything, from baby care to baby & toddler food recipes and from food charts to simple craft ideas for kids. All these, while keeping in mind that it is essential to have a practical approach in order to make motherhood easy. If you are looking for new and unique stories for your little one, you need to head to Aditi’s blog – Kiddie Story 365. Aditi is a mother, who loves to engage her kids with new stories. So when her stock of stories ended, she started creating her own. Each story on her blog is written with an aim to pass down priceless values to the little ones. Menaka started off with SimpleIndianMom to bring the long lost methods of parenting and natural living into the limelight; thus updating modern mothers about the benefits of natural and organic living. She teaches how to grow your own organic vegetables in your backyard and terrace. She also takes up every issue that comes up from a loyal mother fanbase and tries to soothe out their worries. Aloka is all about health and fitness and her blog, WholesomeMamma perfectly compliments that. She blogs about the benefits of healthy eating, breastfeeding and taking a natural and evolutionary approach towards parenting. 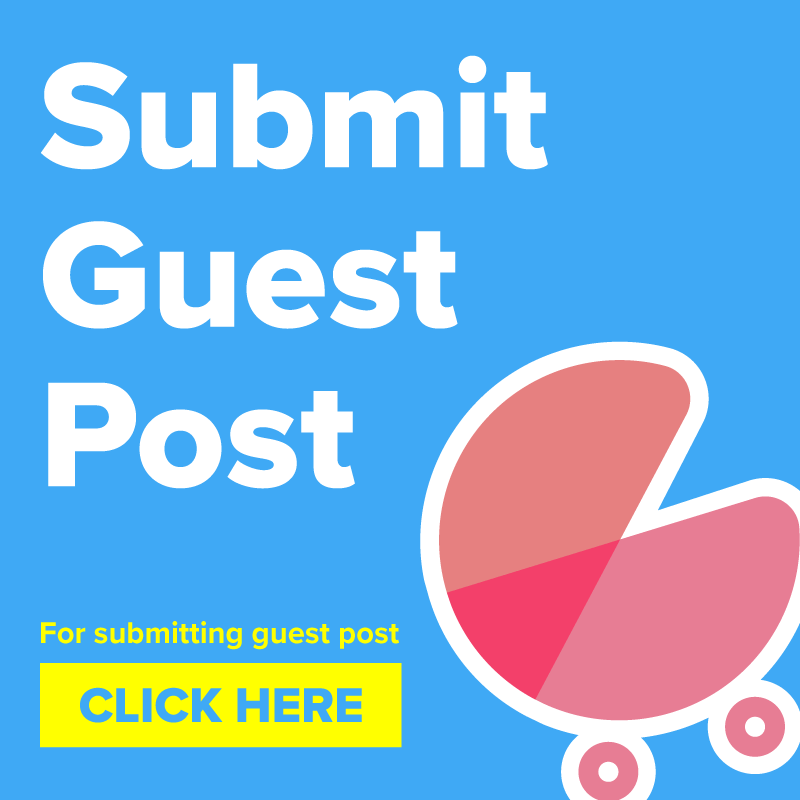 What makes her blog special is the fact that she is a certified lactation counselor and baby wearing promoter, thus, adding that extra credibility to her blogs. Rashmie decided to take the road less traveled with her daughter Pari when she started to homeschool her. With her belief that a child cannot nurture creativity and love for life in textbooks, she started Mommy-Labs as an olive branch to every mother out there who wants to focus on their child’s natural and holistic living. 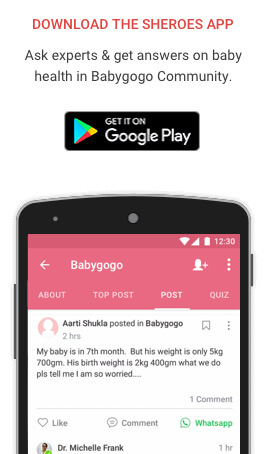 ConfusedParent, a brainchild of Ekta, is an upcoming platform that helps young mothers to connect with experts, doctors and other parents just like them. The topics covered range from pre-pregnancy, pregnancy, and motherhood. Let us know about your favourite mommy blogger in the comments section below. Nice Blog!! . I really like your site it helps mom to be connected.We run mom disease prevention community.for more information please visit to our website. Congratulations to all the mums on this list 🙂 Just wanted to let your team know that http://www.themomviews.com/ is no longer active. Swapna now is a Content Marketing Coach and writes at http://swapnathomas.com/ . She no longer writes about Parenting. blogging is a source of silence coversation and coveying your message with lots of feelings and experience.I really like your site it helps mom to be connected.We run mom disease prevention community.for more information please visit to our website. You completely missed Lata from http://www.fabulousmomlife.com! I admire her writing very much. Her birthday parties are so creative and her home and Mommy experiences are beautiful. Also, hers is a real blog, real pictures from her life. Not just informative articles. How she manages to look so stylish with 3 kids and blogging is an inspiration to me! Since you mentioned about our homeschooling/unshcooling journey (that I write about on my blog), I’d like to share my daughter’s blog with your readers. She’s 11 and has been writing on this blog for nearly five years now. She writes about her art projects, her thoughts/ideas, unschooling life, travels, recipes and more. thats Brilliant..and you have an amazing kid ..
It’s an honour and gratitude to be in such inspiring company of mom bloggers from across India. Thank you for thinking about me. This inspires me to keep writing and sharing my life’s unschooling journey and lessons. Thank you so much team! 🙂 I am honoured & happy to be among some of the Best in the Parenting space! This means alot. My fav blogger of all is Nayantara hegde of mommyingbabyT, not only does she manage our lil baby T but also manages to be dedicated to the cause of natural parenting and spreading the knowledge. My fav blogger of all is Nayantara hegde of mommyingbabyT, not only does she manage our lil baby T but also manages to be dedicated to the cause of natural parenting and spreading the knowledge. Cheers to her and all the mothers out there ! None can match what you do !